The following simple 6 steps help you get control over your body’s autonomous nervous system, reduce anxiety and deal with stress. 1. Stop what you are doing right now, sit up straight, look upwards, and take a long deep breath. 2. I’m sure that you already feel more relaxed and you probably wanted to smile. The word ‘inspire’ comes from the Latin inspirare – to breathe into. 3. Now hold that straight-back position and put one hand on your stomach and the other on your chest. 4. Start breathing in more deeply, so that you can feel your stomach push out on your hand with every breath in, and go back when you breathe out. 5. Continue to take slow deep breaths, counting slowly to five. The breaths should push your stomach out first and then lift your chest, filling your lungs full – which our normal shallow breathing never does. 6. To release maximum tension, whisper the word “relax” – or say c-a-l-m with every exhale. Or you can simply elongate the sound of the letter ‘M’ as you breathe out – a technique charmingly called bumble bee breathing! As few as 8 deep breaths will help you reduce stress and anxiety. If you have a challenging task, you can couple this exercise with visualising the task ahead of you. The combination will strengthen your psychological and physical readiness for the challenge. Do share this article with family and friends. We live in a stressful world and this simple technique is a well-researched stress buster. Register now for a free e-newsletter on the latest in nutrition and health research. 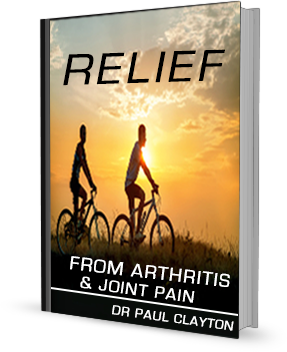 Dr Paul Clayton’s best-selling book Health Defence is available from most good bookstores.Or read chapters FREE simply by registering your email address.